Having a special needs child, or two, makes your family different than most. You cannot always do the same things that a typical family would and you have to think about even the smallest activities differently based on your children’s needs and abilities. And then there are the “normal” kids in the family, what about them? Don’t they deserve to have the same things that other kids have who don’t have special siblings? 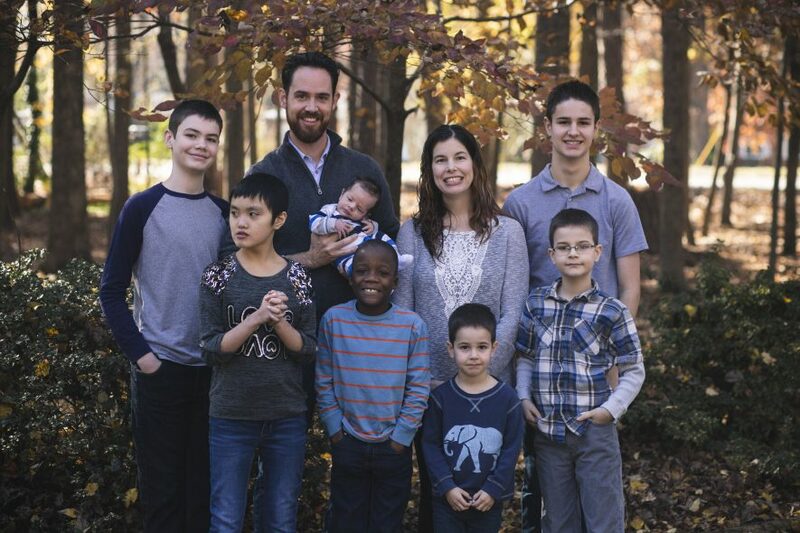 For us, having two special kids and four “normal” ones we spend a lot of time thinking about how to meet everyone’s needs without hurting the others. This summer we went to the beach. It was our first vacation since we brought Kaki home from Hong Kong two years ago. Honestly, we waited two years to go any where because our life was a real mess after she came home. She wasn’t adjusting to our life very well and she was a real challenge behaviorally. We wondered if we would ever be able to go on vacation again. How would she act? Could we have any fun? Would it be worth it? We decided we would try it this summer because we had extended family going with us and we knew if all went badly we would have reinforcements. It went okay. Our other kids had a good time, the boys. But for her, she just didn’t enjoy being out of her routine. She didn’t appreciate being in a new place or the sand and ocean at all. She was very stressed out and stopped eating for most of the trip. Glenn and I weren’t having fun, and neither was she. Thankfully we were able to give the boys a good time despite all of it, but we knew when we planned to go to Disney this Christmas we would have to rethink our plan. So, after a lot of thinking and praying about how to best make this work, we decided it would be best for her to stay here with her grandparents while the rest of us go to Disney. And we were so thankful to have wonderful grandparents who volunteered to help out! I know what you are thinking. “I could never leave my child to go on vacation while taking the rest of the kids”. Yeah, it’s not easy, I will tell you. However, it’s what is best for all of us. She will have a much better time staying within her routine here at home and honestly, we will get a much needed break from her daily care and an emotional break from her as well. Living with her is not always easy. She requires complete physical care and that is physically demanding day in and day out on a child who is quickly becoming a woman. She is also emotionally taxing. Not as much as she used to be, but still an underlying emotional weight, for me especially. When she first arrived here she did her best to come between Glenn and I in our marriage. She wanted her dad all to herself and I was in her way. I was the enemy for a long time. Things are ever so slowly getting better, but it is still a tense emotional thing for she and I. She is also a reminder to me of what I do not have, a daughter with whom I can have a close relationship. I have wanted that for so long, and now that I do have a daughter but we have a strained relationship, it almost makes it worse. It’s a daily painful reminder to me. Just being honest. I am looking forward to the time with my boys. We will still have to help Joshua deal with his ADHD and developmental issues that are going to make the waiting part of Disney a bit challenging, but we are armed with ways to hopefully combat that. Life with kids with special needs is never boring. It keeps you on your toes. Our family is unique and we have to make some tough decisions at times, as I know all families do. I wanted to share about our thoughts regarding this issue because I hope that it might help those around us better understand why we do what we do and maybe help other families with special kids feel like they can make the tough decisions that are best for their family as well.